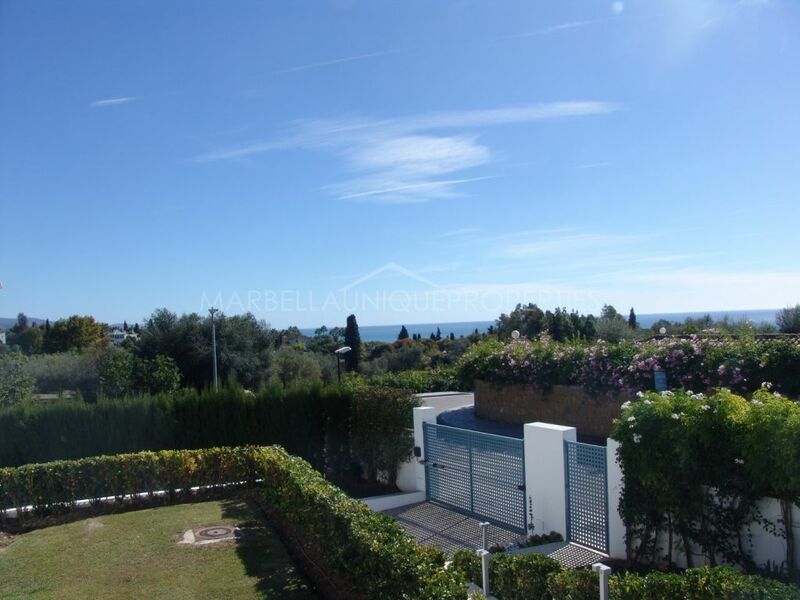 This property of 5 bedrooms is built over 2 floors with panoramic sea views, located in the prestigious gated community of villas of Sierra Blanca. The property entrance boasts charming Andalusian style courtyard with fountain. The ground floor boasts two large living rooms with sitting areas, one with TV another one with fireplace, furnished with Versace furniture, and with direct access to the terrace. Large fully equipped open plan kitchen with dining area. 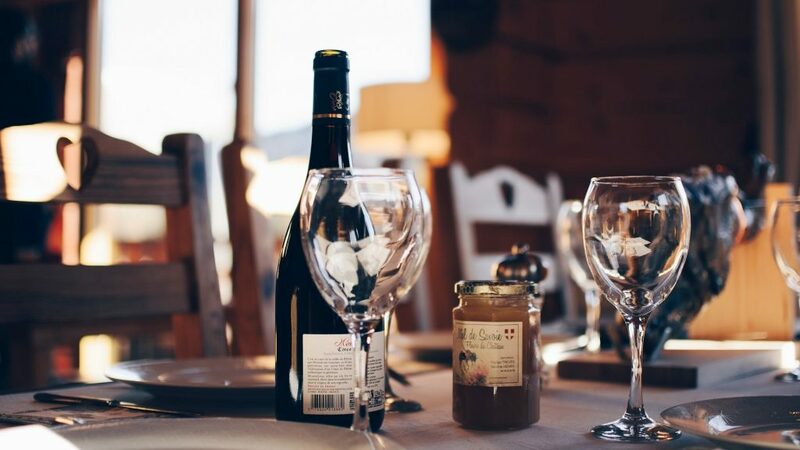 Spacious covered terrace boasts dining area with barbeque and beautiful and comfortable sitting area, both with lovely view over the garden and swimming pool. 2 bedrooms with 2 spacious bathrooms. Upper floor includes a en-suite master bedroom with renovated bathroom and large balcony with stunning sea views. Two en-suite guest bedrooms with sea views as well. The basement boasts a separate apartment with bedroom, bathroom and kitchen and a private garage with space for 2 cars. Set in a prestigious gated community of amazing villas with the highest security standards and fantastic sea views. Located on the foot hills of La Concha mountain, within a few minutes driving to Marbella town centre, the beach and famous Puerto Banús. 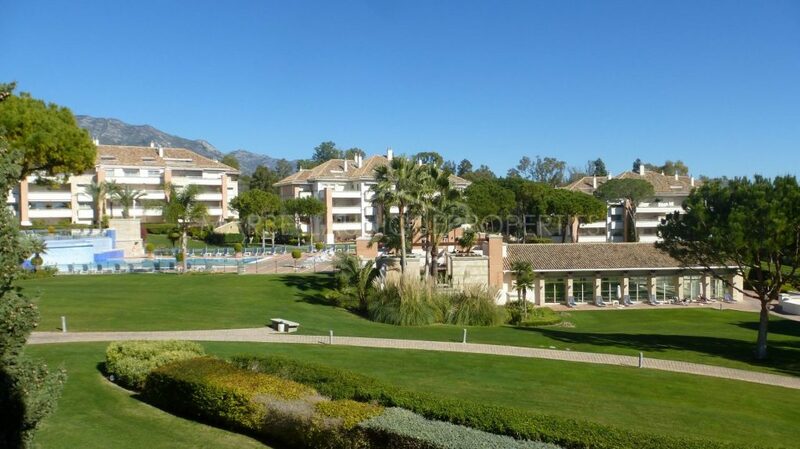 Please, send me more information about ref 239-01337P, Villa in Sierra Blanca, Marbella Golden Mile or similar properties. Located at the foothills of the mountain range with its same name, just above Marbellas famous Golden Mile, with La Concha at its crown. 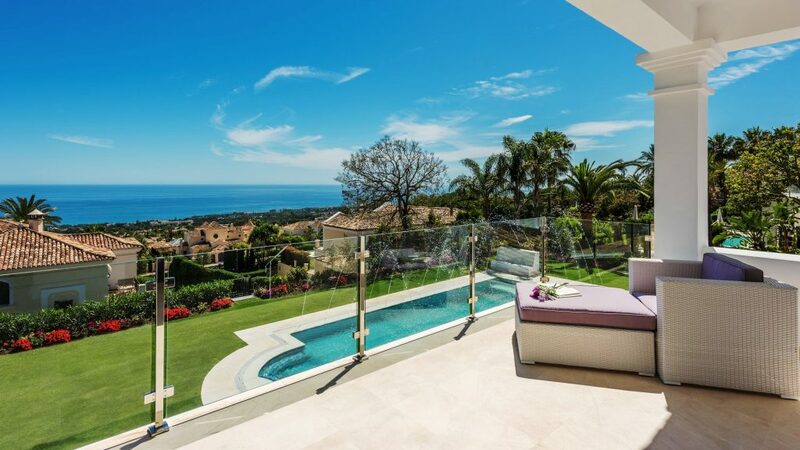 Sierra Blanca is one of the most exclusive residential areas on the Costa del Sol and we even dare say of all Europe.